Francois Hollande vowed Thursday he would not stand again for the French presidency in 2017 if he had not managed to live up to his promise to bring down unemployment by then. 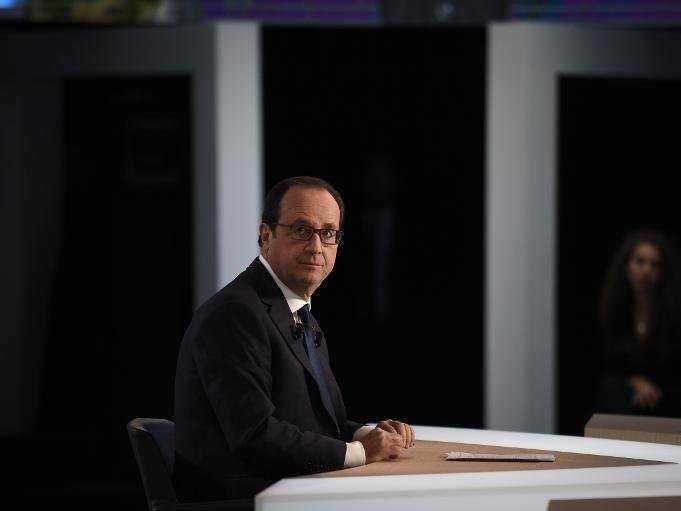 Hollande has said previously that he would not have the necessary credibility to stand for re-election in 2017 if he did not live up to his pledge to bring unemployment down. Unemployment has risen 27 months out of the 30 Hollande has been in charge and growth has ground to a halt. With an approval rating at a historic low of 13 per cent and a staggering 97 per cent believing he has failed on the economy, more than eight in 10 French people say they do not want Hollande to run for a second term.